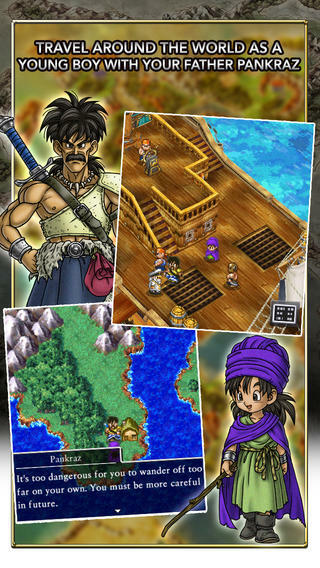 Dragon Quest fans who are catching up with the series on their smartphones can go ahead and add another entry to their digital shelves. 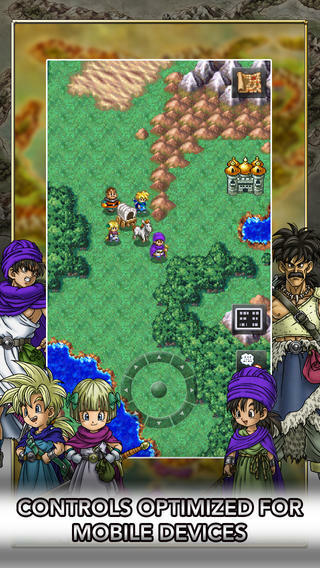 Fan-favorite Dragon Quest V launched on iOS and Android today for $14.99, and that is a bargain price for the many wonderful hours of gaming you’ll be getting. Dragon Quest V is best known for its dark story revolving around a single man. From his wayward childhood with his roguish father, to his imprisoned upbringing, to his courting of local Heavenly Brides, to his days as being a father himself, Yuji Horii’s perfectly paced masterpiece delivers one of the most human and genuine stories you’ll ever find in a JRPG. With the addition of a monster collecting system pre-dating Pokemon, I can’t recommend it enough. 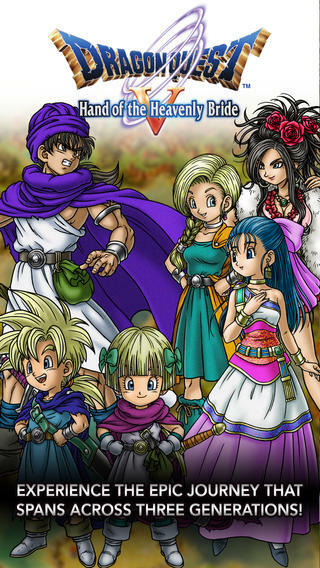 In fact, with the release of Dragon Quest V on smartphones, we only have Dragon Quest VI to go from the trio of Nintendo DS ports. I’ve been critical of the NES and PlayStation 2 ports popping up on smartphones and tablets, but these three games, including Dragon Quest IV, have lost very little in the transition and play almost as well as they do on a traditional console. You just have to be more wary of your battery life. Dragon Quest V also plays in portrait mode. 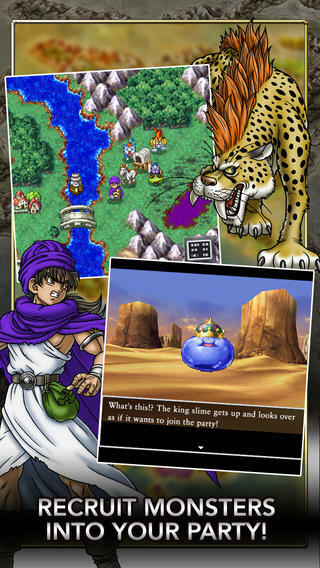 The best part about this news is that every possible main Dragon Quest game until this point has been translated and ported on to smartphones. Dragon Quest IX is impossible because of the deeply ingrained Street Pass and other DS functions, and Dragon Quest VI is already available in English, making for a simple port. 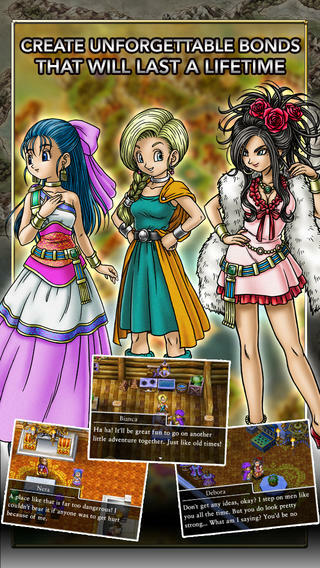 My point is, with the localization team probably not that busy, maybe Square Enix finally has a window of opportunity to get crackin’ on the translation for Dragon Quest VII remake for the 3DS!